I used up my sample of Jil Sander Simply. I already reviewed it here. I liked it, but I don’t feel the need for a big bottle atm. The Body Shop Honeymania Shower Gel: Lovely smell, a bit like honey and a lot like wild flowers. A little bit of clover, maybe. I am on a total shower gel buying ban, because I have way too many bottles standing around, but generally I would repurchase this. I’m not sure if the scent is stll around, though. Douglas nails hands feet everyday’s darling moisturizing hand balm: a good hand cream, but ultimately nothing special. Flowery scent that isn’t too overpowering. The sad rest. The compact comes with a sponge. That sponge is still untouched, because I only applied this with a brush. The coverage can be adjusted depending on which brush is used. For a natural, medium coverage I used MAC 130, for a stronger coverage the Shiseido foundation brush or my newest brush, the Zoeva Silk Finish. On the one hand I am sad it lasted only about a year, on the other hand it’s a good idea to use it up fast, because such a cream is more exposed than a bottle and could get bad faster. The cream contains a bit of alcohol, enbough that I could smell it at first. It seemed to evaporate over time. It’s not that I got used to it, because the same week I used this one up, I opened the next one and that one had the alcohol smell again. So if you’re sensitive to alcohol, this is not the foundation for you, but like I said, it evaporates, so I’m not too concerned about it. Already repuchased, this is the foundation that works best for me. Long lasting, good coverage, does not emphasize dry parts. 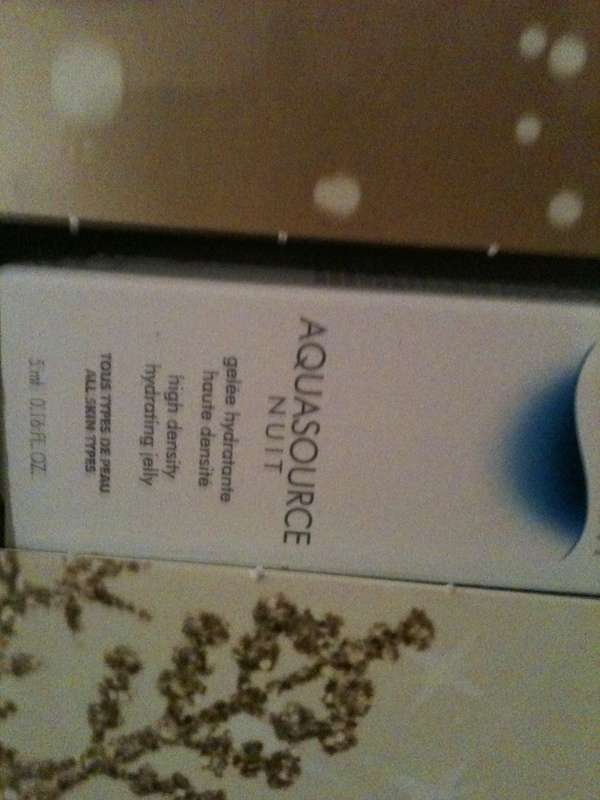 It’s not mattifying; f you’re looking for something for oily skin, check out the liquid versions. Ebelin nail polish remover pads acetone free: these were merely okay. I liked the older ones better, but they changed the formula. Lis of ingredients. For now no repurchase. Marionnaud Cleansing Micellar Water: I bought this travel size back when I was looking for a cheaper version of the Lancome Micellar Cleanser. 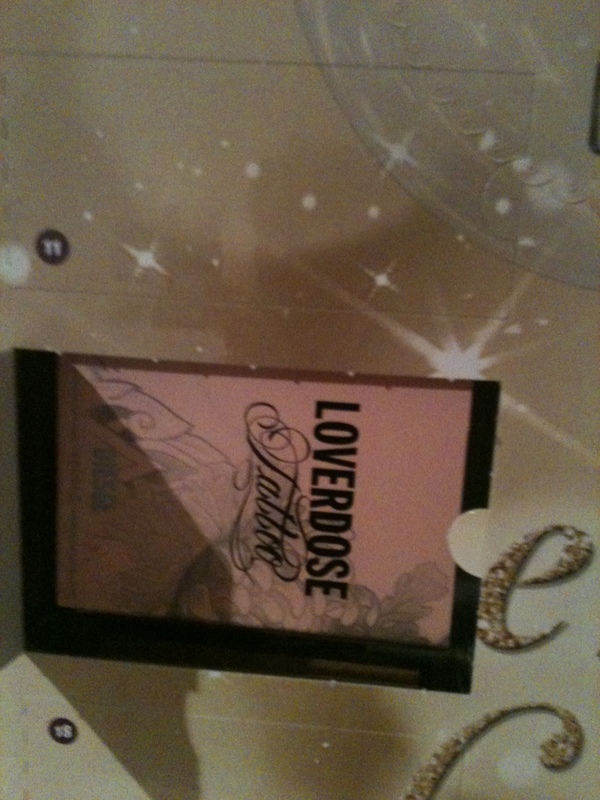 I have since found it in the Garnier one. It took me forever to use up this Marionnaud one, because I found it awful. It has a nasty alcoholic smell, it feels nasty and drying on skin and it removed makeup only so-so. I kept it for emergencies and as you can see, there were enough of them to make it finally empty. Would not buy again. 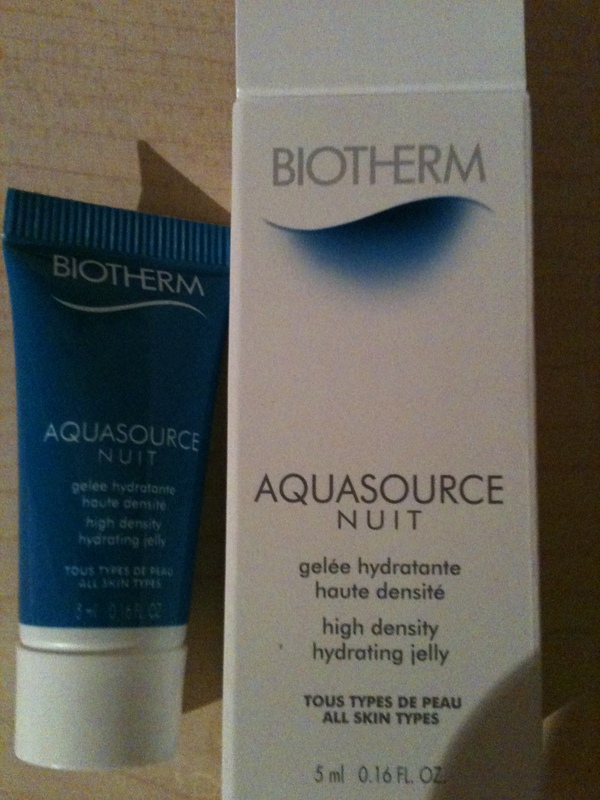 Last one for this month: Biotherm Lait de Douche. It’s the shower milk with that lovely soft citrus smell of theirs. That smell must be popular not only with me, since they have released a matching perfume spray this year. Apart from the smell, the milk also feels lovely on the skin. Back view with list of ingredients. Click the pic to enlarge. It contains salicylic acid, which explains the smooth feeling afterwards? Maybe? Or maybe the dose is too small and it’s only anti-inflammatory, which is also great. I am finally back. I really did not expect to fall off the blogosphere so completely, wow. I missed both Christmas and my blog birthday. I hope you had lots of fun and got lovely presents. 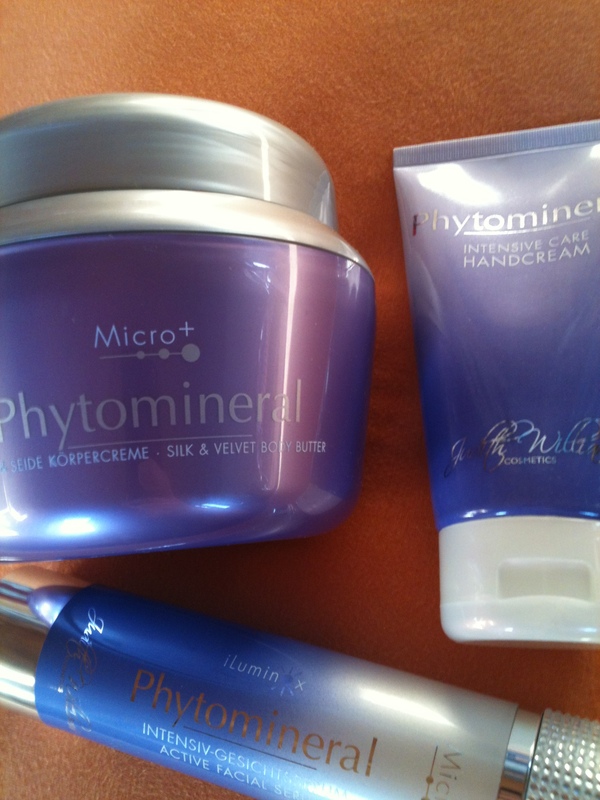 A Phytomineral Body Lotion (500 ml), Hand lotion (150 ml) and serum (120 ml) by Judith Williams. My mum loves Judith Williams stuff and boy, I am always glad to receive skin care, especially hand creams. 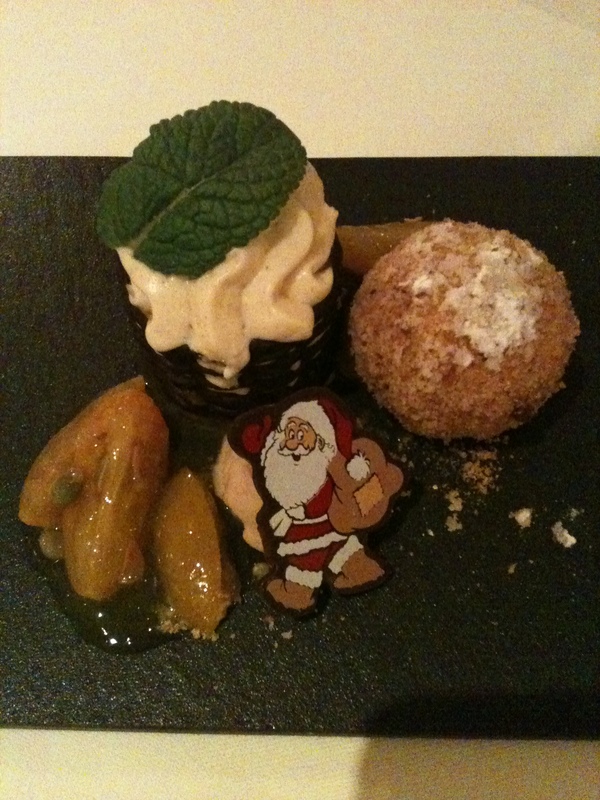 This was the dessert I had on Christmas Eve. Very yummy. Since I also dropped the Advent Calendar posts, in short: it mostly contained more things by Lancome and Biotherm, including a 10 ml sample of Biotherm’s Blue Therapy serum in oil and on the last door a full sized Biotherm hand lotion (YAY!). 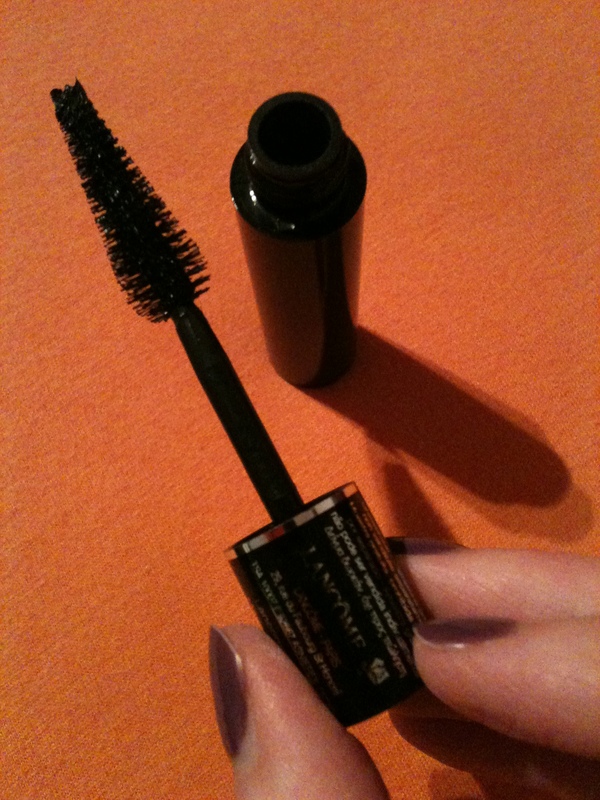 There was also a small eye liner by Lancome. I was very pleased with this year’s calendar by Marionnaud, it was much better than last year’s. I already can’t wait for next year, haha. In an upcoming post I would like to talk about my tops and flops of 2013, but I’m having a hard time choosing products for tops (there were not many flops. Maybe I’ll leave those out and make a “what did not work for me” post later on). I love you, thank you for reading my posts in the past year! 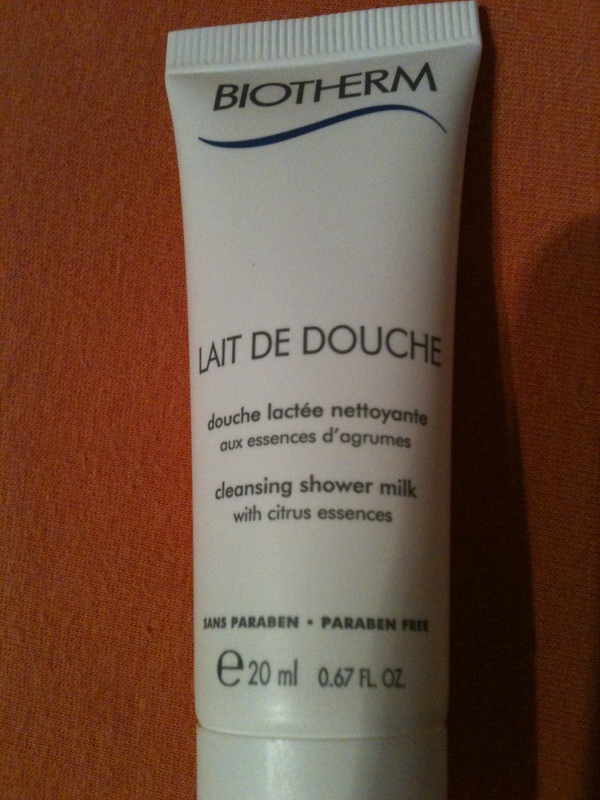 Biotherm Lait de Douche Shower milk. Now I have the matching shower gel to the body lotion from a few days prior. 🙂 Awesome. 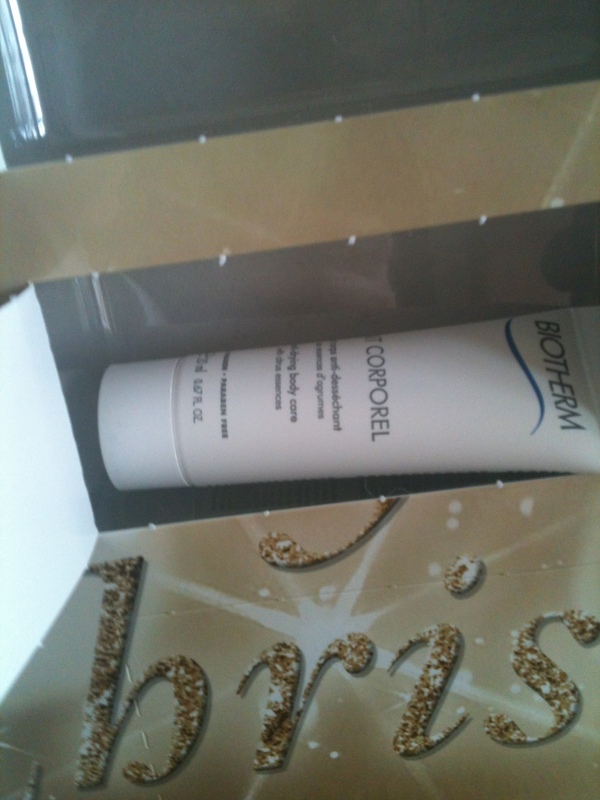 You know, if the advent calendar was only Biotherm and Lancome products, I certainly wouldn’t complain. Biotherm Lait Corporel Body Lotion. This is especially funny because I ran out of this exact lotion last week. I don’t usually like citrus scent very much, but I love this one. 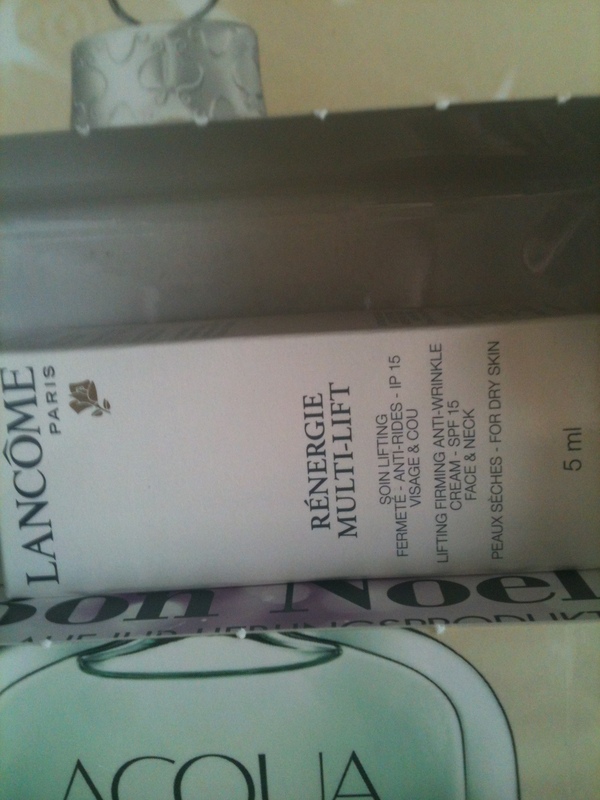 Anyway today it was another skin care sample: Lancome Rénergie Multi-Lift; anti-wrinkle cream for dry skin with spf 15. This might go to my mum. So far I’m impressed. It is better than last year’s Marionnaud calendar. Edit: Wow, wordpress says this is my 100th blog post. Huzzah! *throws confetti* I never thought I’d manage to update this thing regularly for a whole year, much less reach 100 posts or this many lovely folowers. 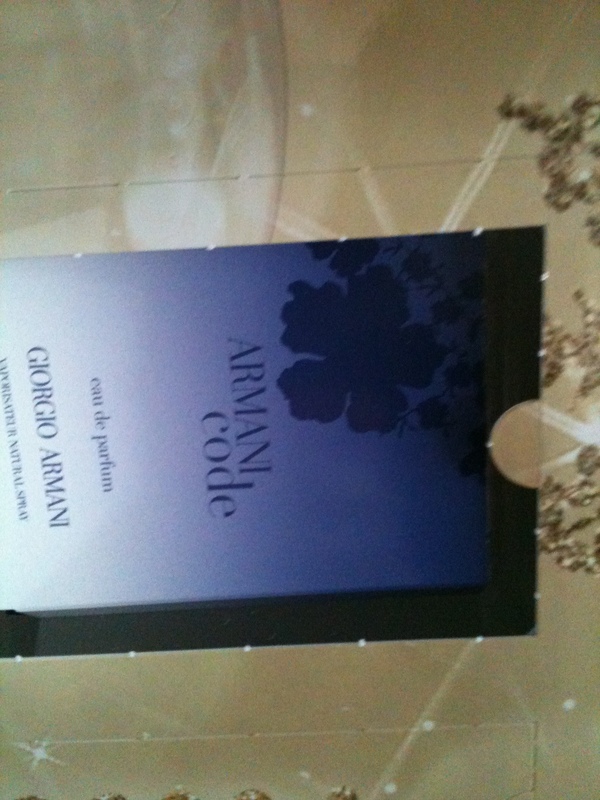 Today I got a sample of Armani Code. The description says it contains orange blossom and honey. I like it very, very much. Oh look! 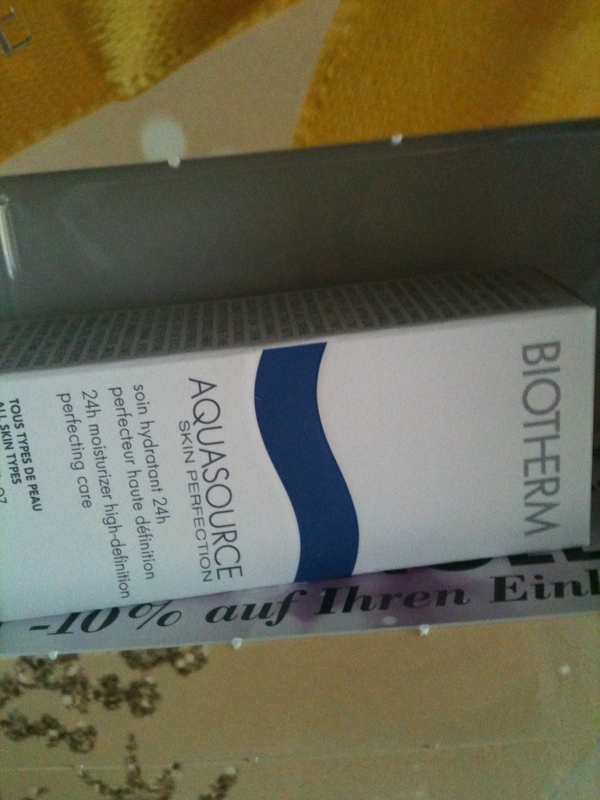 It’s Biotherm skin care again. Door 4 contained … a black tube? 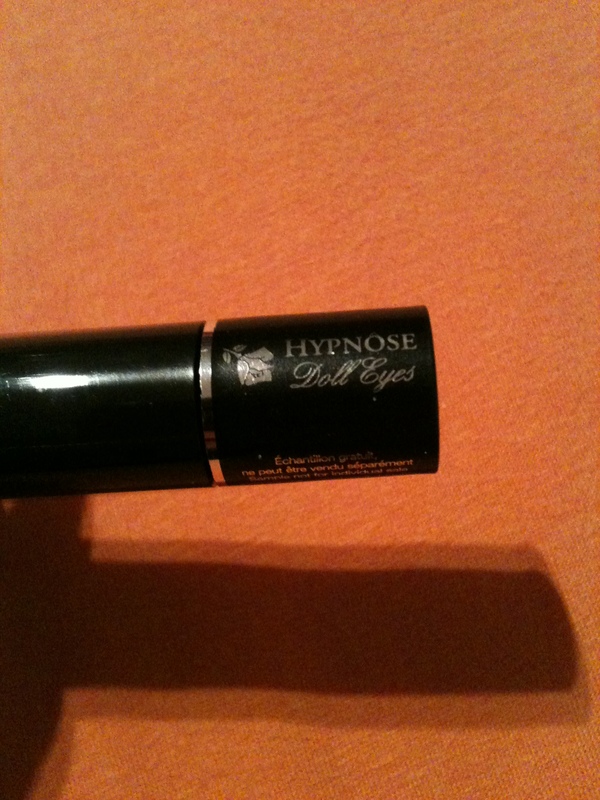 It’s a sample of Lancome Hypnose Doll Eyes! 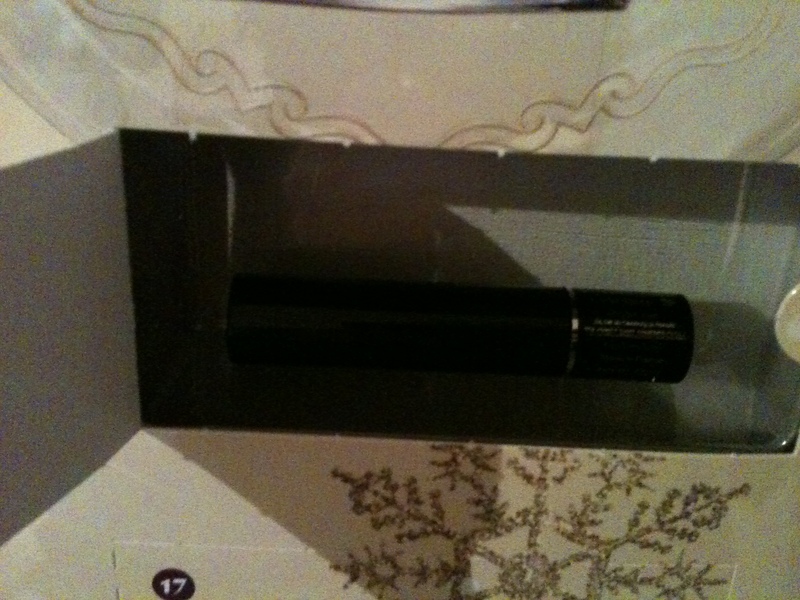 Lancome mascaras have such funny wands! I applied it this morning and struggled a little, either the tip or the thick part got in the way. But on the third coat I could start seeing doll lashes. Ten hours later I see no smudging and no crumbling. I can’t yet say how the removal will be, but I’m impressed so far. 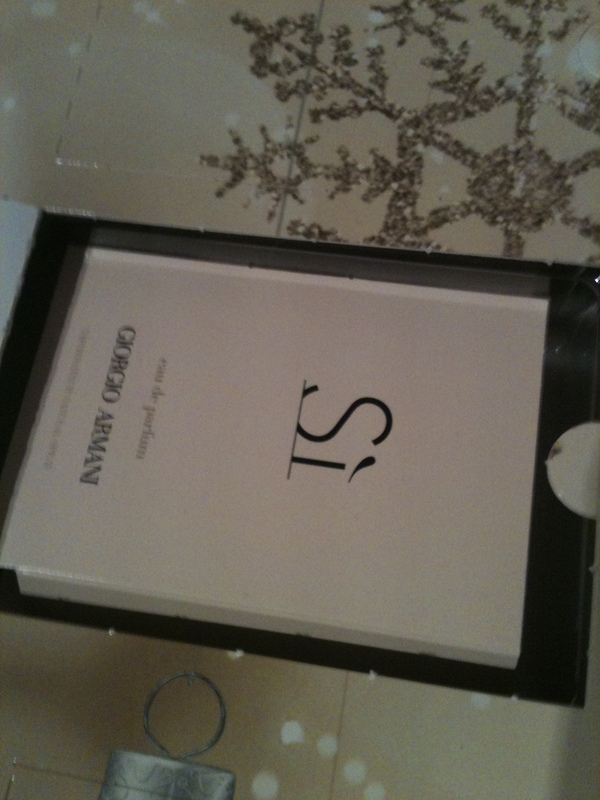 Today’s door of the Marionnaud Advent Calendar contained a sample of Armani Sì. 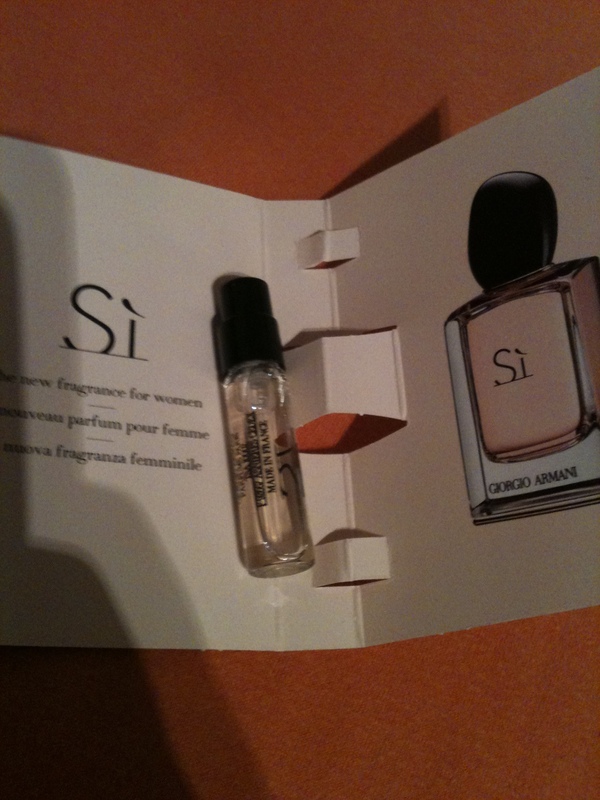 In my opinion Sì smells like classy cotton candy. Very sweet, very foody, but at least it doesn’t beat you down completely like sweet scents sometimes do. It’s not exactly unique, though. 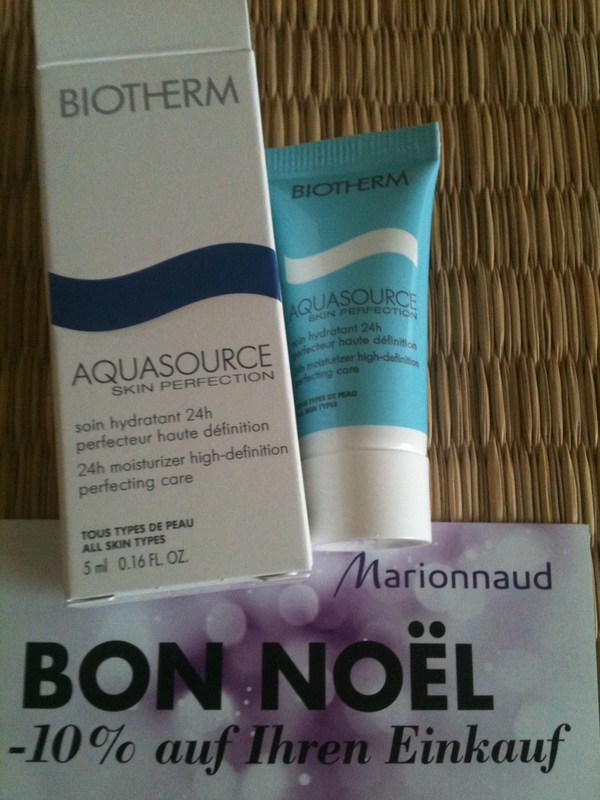 Door 1 of this year’s Marionnaud Advent Calendar contained a sample of Biotherm Aqua Source Skin Perfection 24h moisturizer. Plus a -10% off coupon, which sadly is only valid until 31.12.2013.